Mr.Tanamachi has been producing works focusing on large works over 5 meters since he was a university student. and now, he has been an active who has been energetically presenting large works at museums and hotels. Please enjoy his works full of air of the four seasons. The paintings of mysterious figure emerges in the black world. 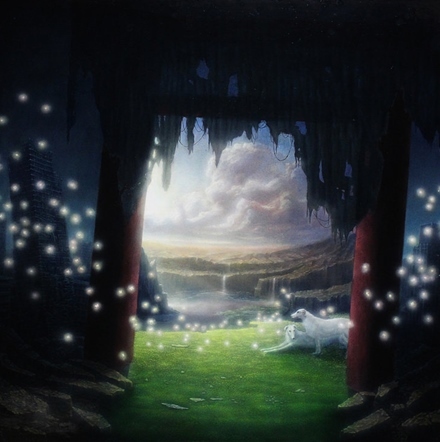 The art is created by Mitsuko Kuroki, a new-generation Japanese painter who visualizes her fantastical and fascinating world utilizing the features of mineral pigments. We are pleased to inform you that her solo exhibition will be held in Osaka. The plum blossoms which Kumehara pictures are inspired by those in the garden in her home. The image of the blossoms that she used to watch in her childhood has been gradually changing in the stream of time. 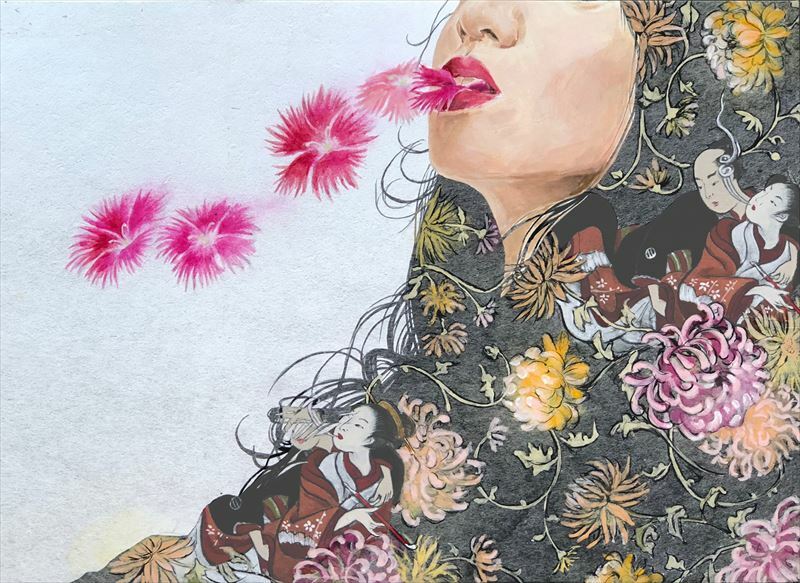 The artist expresses the transformation of the blossoms in her mind on a sheet, where colors and Japanese paper overlap as if her memories of the past were connected to the present time. We are pleased to inform you that her works show you the fully poetic world beyond time and space. We will introduce works of new artists who already have an influence on the art scene.Please enjoy attractive and unique works. *Opening Hours : 10:30 - 20:30 *Close at 6pm on the last day. Masako Asaba, Mitsuru Ichikawa, Kayoko Kimura, Ai Kumehara, Mitsuko Kuroki, Izumi Kogahara, Koh Shimizu, Yukyo Yamamoto, Sana Yoshida,..etc. Affordable Art Fair Hong Kong ! Gallery Sumire is pleased to announce its art fair participation in Affordable Art Fair Hong Kong at Artglorieux gallery of Tokyo booth. 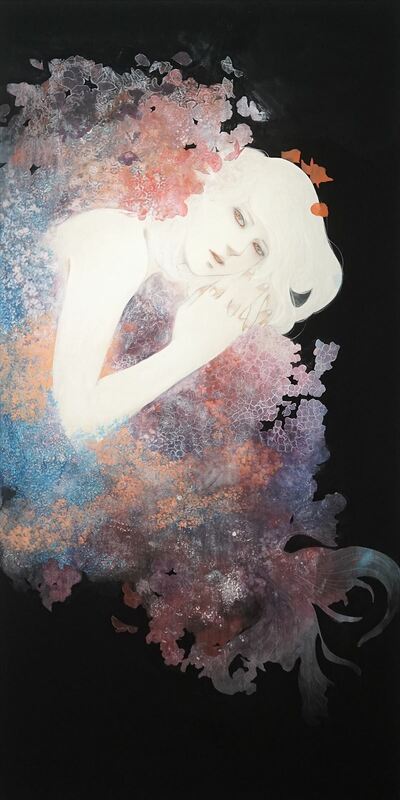 Gallery Sumire will present a selection of works by Japanese talented and young artists. We would be delighted if you can take a look at the Japanese artist's works. . If you are in Hong Kong, please feel free to drop in anytime. Artglorieux Selection NEW STAR ARTISTS !!! We will introduce works of young budding artists who already have an influence on the art scene. We hope that you find a favorite artist, and enjoy being a fan of artist. Thank you! *Opening Hours : 10:30 - 20:30 *Close on 26th and 27th,*close at 6pm on the last day. Mitsuru Ichikawa,Kanako Okuyama,Yuwa Kato,Yu Kawashima,Ai Kumehara, Ayako Goshima,Hiroshi Kobayashi,Eri Komiya,Kageyoshi Koyanagi,Terumi Sakane,Eriko Shiga,Shinya Tamai,Chiaki Nakayama,Nozomi Hirata,Chihiro Fukumuro,Nana Monda,Takaharu,Yamashita,..etc. The world of ukiyo-e, which once fascinated Monet,Van Gogh and so on. Masako Asaba restructures Ukiyo-e and sublimes it as her own work. Hope you enjoyed the world of Ukiyoe, newly born again by her. You can purchase her works here. Gallery Sumire invites you and a friend to the exclusive Affordable Art Fair opening party! Come on down to the friendliest, most welcoming art event of the year! It's where all of Singapore's creative explorers come to fall in love with affordable art. All artwork is clearly marked with price tags from $100 to $15,000, with the majority of pieces at $7,500 or under. Every piece can be bought and taken home straight away! Sounds good? Access your invitation and activate it here! Then come and find Gallery Sumire in booth number 3D-06 down at the fair. Copyright © 2017 Affordable Art Fair Singapore, All rights reserved. 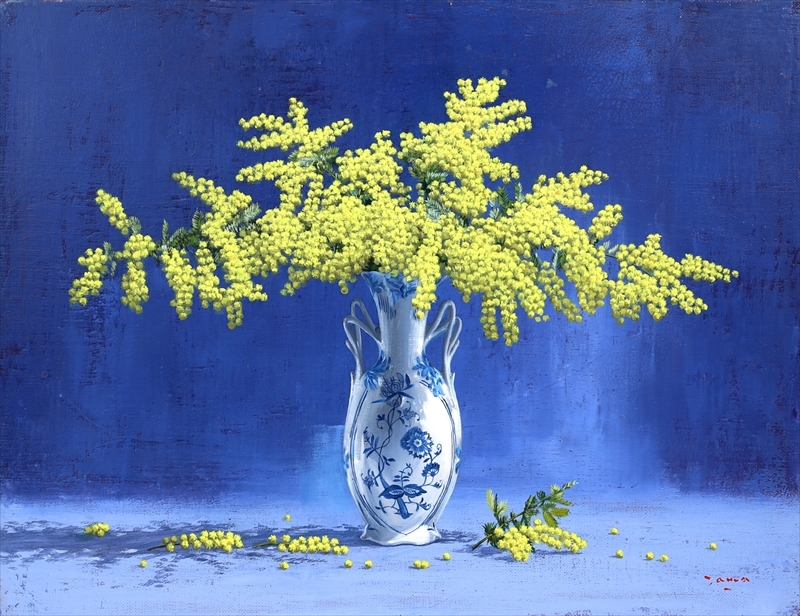 His paintings feature silver and gold leaves based on the traditional technique and the richness of color expressions. We would be delighted if you can take a look at the Japanese painting world full of traditions and innovations. We are launching summer sales promotion now!! We are pleased to inform you that the delivery costs for all our customers worldwide will be covered by Gallery Sumire. “The Feast- Hydrangea- ”and ”The Feast-Morning Glory-“ by Miho Hirano are for sale right now. Regardless of where you live in the world, if you have any questions, please do not hesitate to contact us via the e-mail. Using many layers of different materials, colors and “sgraffito” technique, she creates her signature rainbow-colored style. “Night sea journey”, a psychological concept of Carl Jung, underlies her works. She expresses her complex mental views of “life” and “death”, “virtuality” and “reality” using mirrors or other objects. 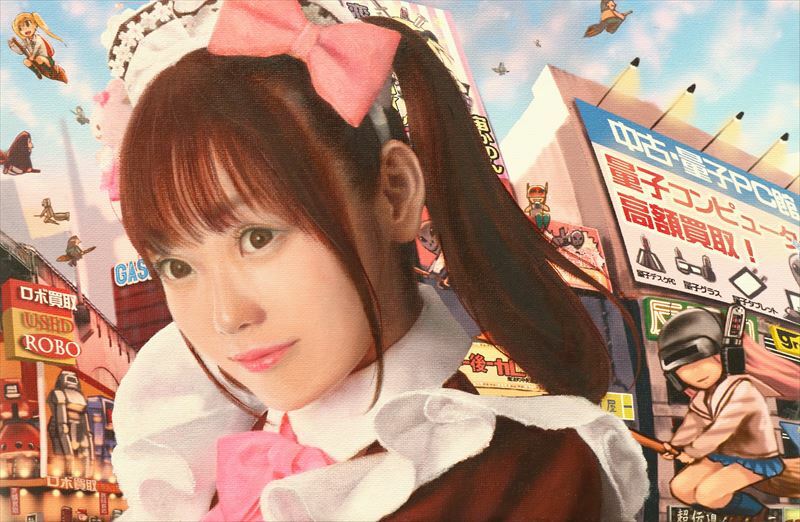 We would be delighted if you can take a look at Ichikawa’s painting world. Her oil paintings have a motif of nature melt into a screen with the flowing curves, which suggests the presence of coexistence and fragility. At the solo exhibition at this time, she exhibits approximately ten works - from big to small ones. We would be delighted if you can take a look at Miho's painting world as she's become an artist who attracts attention from the world. The first exhibition in the New Years holds Japanese paintings of Koh Shimizu.His paintings feature silver and gold leaves based on the traditional technique and the richness of color expressions. 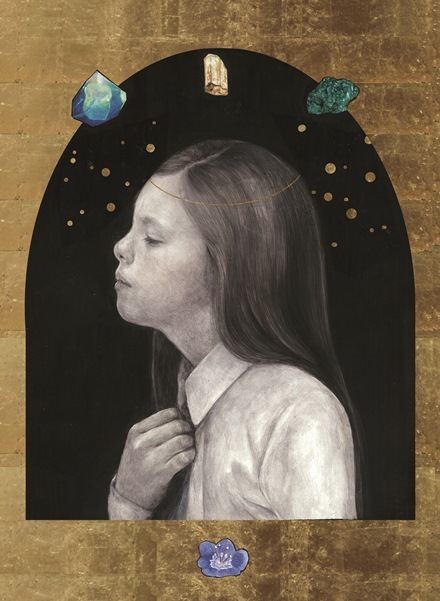 This is the second solo exhibition of SUZUME UCHIDA who made an impressive debut in 2014 and her first in two years. Her delicate view of the world is sophisticated more and more with her new technique and her challenge to new composition. The evolution of SUZUME UCHIDA has just begun. KOH SHIMIZU expresses the momentary beauty and feelings in the transition of Japanese seasons by using traditional Japanese painting technique. The gorgeous color expression sometimes makes us feel even innovative. 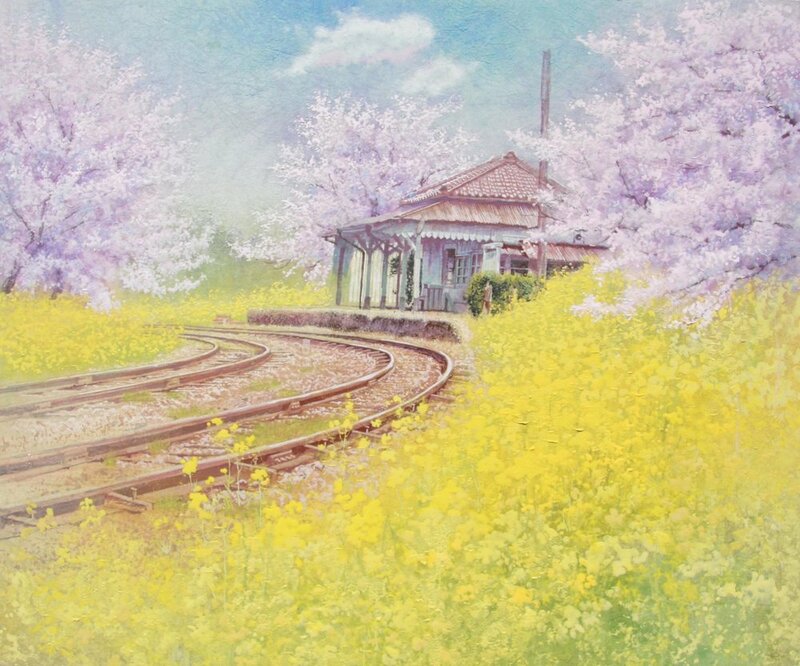 His works stimulate the viewers' imagination and share various feelings with them through the beautiful Japanese four seasons. It is believed that there is a possibility that Shimizu's artworks can make Japanese painting a common language among the world. Miho Hirano’s Masterpiece Now in Limited Edition Prints! 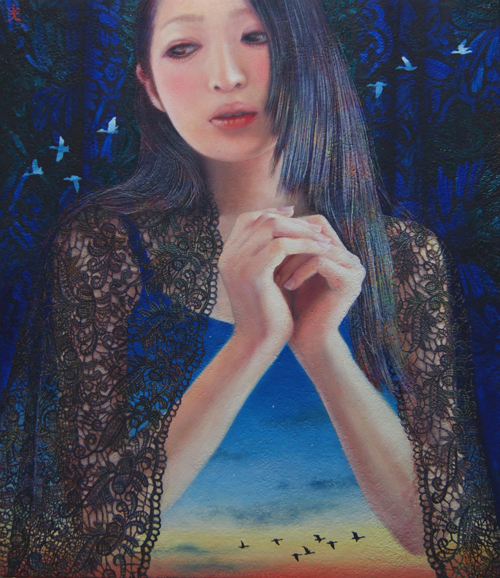 Miho Hirano’s oil paintings have attracted attention not only in Japan but internationally. The flowing curves and the subtle colors which are signature elements of her oil paintings have been widely admired. Now we are introducing her masterpieces, “The Feast ~Mornign Glory~”and “The Feast ~Hyderange~”, in Limited Edition Jeclee Prints created at the personal direction of Hirano. Available in a limited edition of 50 prints signed by the artist. You can purchase Miho Hirano’s prints through this page. Please call or complete the form. Posted by QBIC FACTORY, INC. The launch party, open to VIP and media guests will be held on the 11th of July from 6 to 9 pm. A solo exhibition of Hiroshi Kobayashi was held on April 21st-27th 2016 in Tokyo, Shibuya.We hereby upload his solo exhibition scenery which won a favorable reception from its audiences. An artist, HIROSHI KOBAYASHI was born in Tokyo in 1988. He pursues visual reality expression by his oil representation. In his solo-exhibition this time, he challenges screen structure with a close-up method (detail drawing).We are sure that you can find his potential as an artist by its overwhelming artistic presence.And we are also sure that he is one ofthe unmissable artists. Gallery Sumire is pleased to announce an exhibition featuring artists who are just presented at Art Apart Fair Singapore 7th Edition. The exhibition will be held in Kintetsu Dept. Store's art gallery which is located in a new landmark in Osaka, Abeno Harkas, the highest building in Japan.